Home Does it matter if ‘E’ is for education or entertainment? Does it matter if ‘E’ is for education or entertainment? Apps are earning billions for their makers and promoters. Parents wonder which ones are best. Research at Swinburne’s BabyLab in Australia and five North American universities, might have some answers. Is it ‘educational’ or entertaining? It’s a common cry from parents and educators. What to choose from among the hundreds of so-called educational apps on offer. A new ‘Science of learning’ approach with an Australian connection may have the answer. As tablet and app use continues to climb the need for guidance increases. Revenue from apps is likely to be $38 billion this year with one source tipping it will reach $70 billion by 2017. 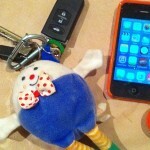 It’s a powerful incentive for app developers to get in on the growing market for children’s apps. Yet app developers are not always informed about how children learn or guided by theories of child development. Even though most online app stores have a dedicated category for children’s or educational apps, parents remain unsure about what their young children should use. The good news is that researchers have devised ‘four pillars’ or principles that underpin essential educational experiences for young children. These principles could be used to guide app developers in their work and help parents and educators assess what to use with young children. 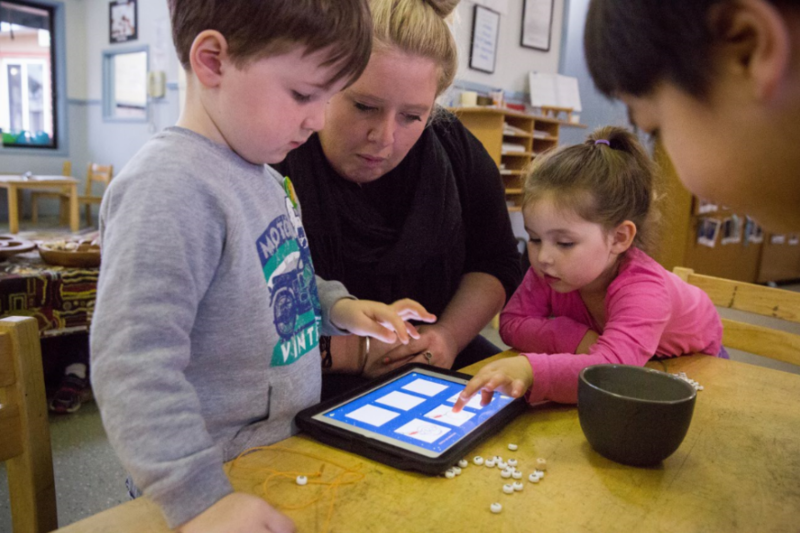 Co-ordinated by Dr Jordy Kaufman at Swinburne University of Technology’s BabyLab in Melbourne, the study, published in Psychological Science in the Public Interest, looked at the characteristics of educational apps. Any learning outcomes for children from apps are often down to ‘instincts and best guesses’ rather than design says Dr Kaufman although he doesn’t think app developers ‘deliberately mislead’. His research team used ‘the science of learning’ approach—pooling learning from psychological science, linguistics, computer science, brain imaging, neurobiology, and other areas—to develop four principles that can guide app developers and help assess the educational value of apps. Social interaction—the design and content encourage children to interact with each other, with educators or parents or develop prosocial and language skills. Not every app has to involve all four principles but where they do, learning is better supported the researchers argue. The child’s environment too is important. Where it provides a context, encourages children to explore, question and stay curious the learning experience can be significant. Still worried that the children are using Angry Birds? Read another view from Professor Nicola Yelland on why ‘educational’ is in the eye of the beholder. Even ‘closed’ apps, she says, can support children’s literacy, numeracy and scientific thinking. Clare McHugh is Early Childhood Australia's (ECA) Strategic Communications Executive, working on projects that support ECA’s reputation as a trusted voice for young children, their families, educators and carers. Clare has been part of ECA's Learning Hub Team, managed ECA's Start Early. 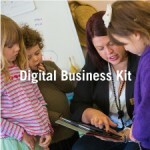 Respectful relationships for life project and ECA digital initiatives including the federally funded Digital Business Kit and Live Wires. 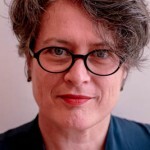 Clare has been thinking and writing about children, family and social policy for a number of years, including for the Commonwealth Child Care Advisory Council and the Australian government. I am being rather negative in saying this, but here goes. A lot of the Apps I see are big on “E” for engagement, and “A” for addition, but very little else. Possibly “N” for noise. I distrust the makers, believing our infants are being groomed for further apps as they develop, and then gambling websites. Perhaps I may be wrong? Thanks for your comment SBWD. You are not wrong although it’s not the whole story either. Grooming for gambling is a concern with some apps. 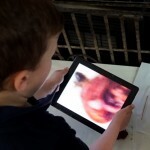 However there are app developers who work with early childhood experts to improve the richness and depth of their apps. Have you seen any of the stories from Nosy Crow publishers? 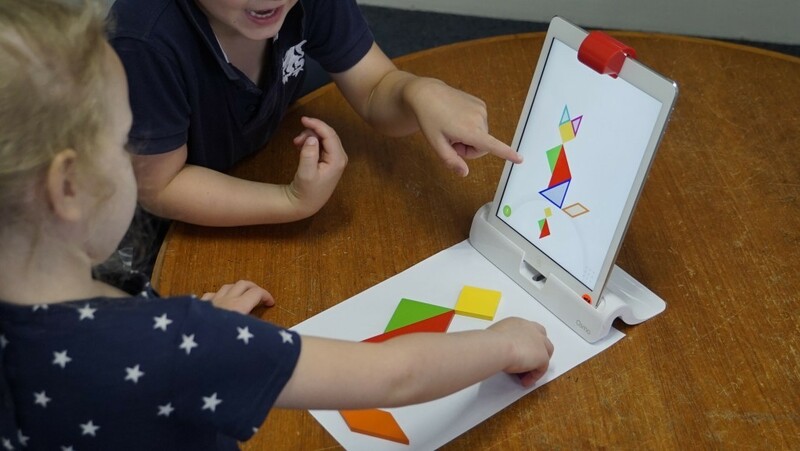 Or Osmo, Busy Shapes or Miximal apps? These are just some of the many apps designed with a great deal of care and an eye on child development theory. App developers can harness ‘gaming technology’ to design rich learning experiences for children that they might otherwise miss out on. That’s why we need to get better at identifying the good stuff. Families and educators are already buying apps, learning how to choose and use is the challenge.